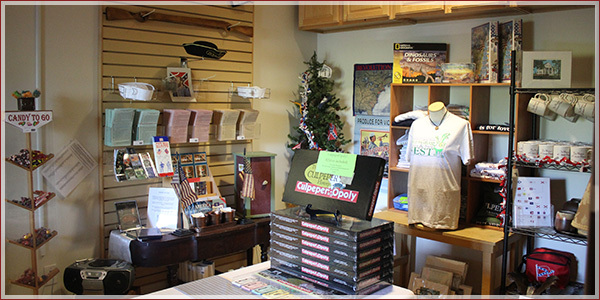 The Museum Shop carries a wide variety of books and gifts, many of which pertain to Culpeper and its vast history. We are able to ship items for a small charge (usually only the shipping rate as quoted by the USPS). 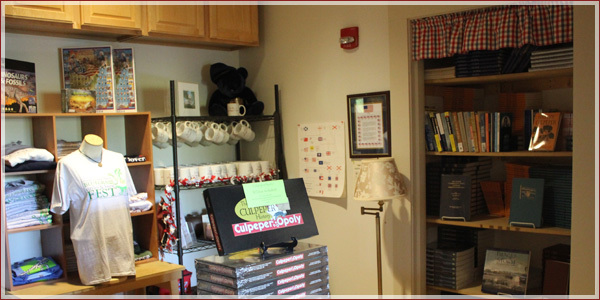 Please call 540-829-1749 to place orders – note that shipments go out on Mondays. Cash, checks, and credit cards are accepted in the Shop.